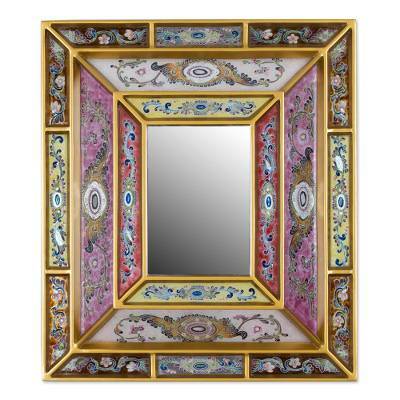 Pastel floral medallions and vine motifs decorate the frame of this majestic wall mirror from Peru. 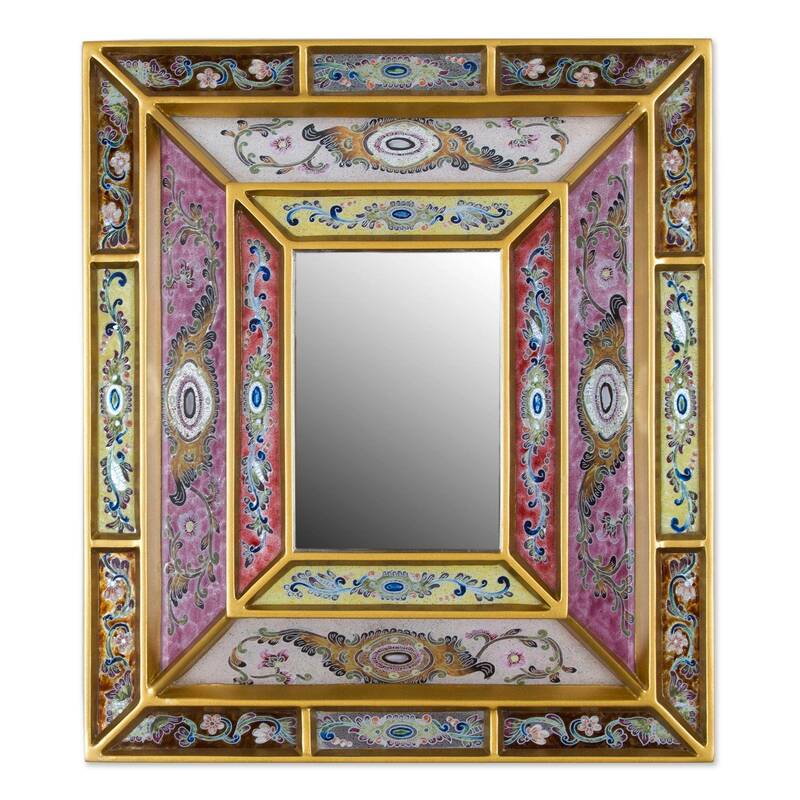 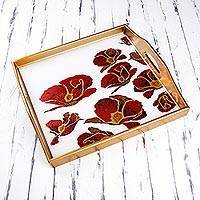 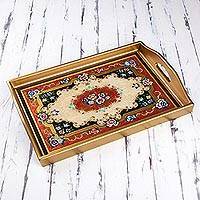 Carrying on the tradition of reverse-painted glass, the Ortiz Family works together to diligently hand-paint the intricate designs onto the reverse sides of glass panels that fill the elaborate frame. 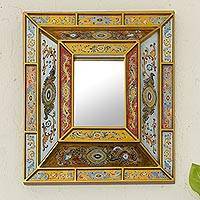 A gold-tone trim finishes this enchanting mirror.